Hello people, today I am back with another haul for you. I've not really bought much over the past month, come Summer and it seems there's a lot of important birthdays, holidays and various other expenses. One thing that's been noticeable amongst the high street at late are the huge sales. They seem to be everywhere at the moment and I managed to pop into a couple of retail shops to pick up some bits and pieces. I'm aware these aren't going to be to everyone's cup of tea because I've had my fair share of slating from family members since picking them up in Matalan a few weeks ago, but honestly, I love them so much. These aren't the sort of shoe I'd usually pick up but I find these are a great high street dupe for Miu Miu footwear that cost £370 - Mine cost a fraction of the price, in the sale, at just £6. The top is like a pump with a metal chrome toe-cap and the bottom is like a trainer sole. I think these are a great addition for Summer (if only the weather would improve) and I think they will look gorgeous with a pair of skinny jeans, especially white. 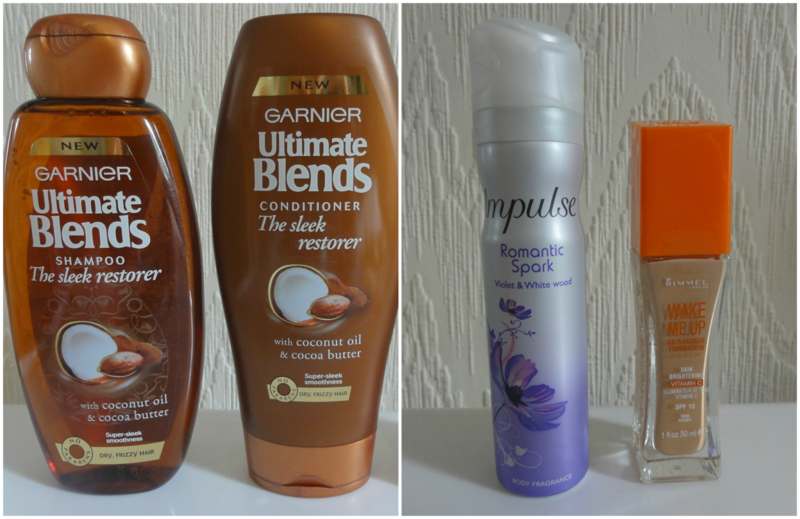 On a recent trip to Tesco I couldn't help but take a look down the beauty isle, I was running out of foundation and needed to pick up another bottle anyways but on the way to the Rimmel section I saw a box of clearance section stuff just staring at me. Now usually when I see the beauty clearance section at Tesco it's pretty awful but this time it was jam packed with lots of goodies and I decided it was a good time to treat myself to a couple of bits I've never tried before. 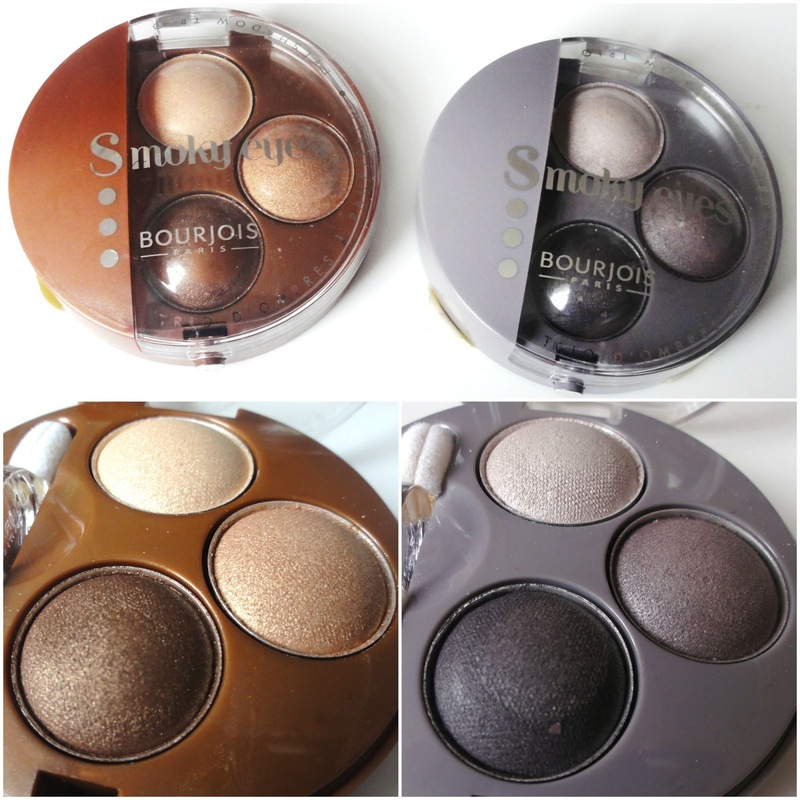 Bourjois aren't a brand I've tried much of so when I saw a couple of different trio eyeshadow palettes in the clearance section I thought I'd choose a couple of my favourites. I picked up 03 Mordorė chic and 12 Gris Lilac. I like the brand has an whole but when I compare these palettes to the likes of budget brands such as Makeup Revolution, MUA or even Sleek I feel these are slightly over-priced. £7.99 for 3 eyeshadows seems a little excessive when I can buy 2 Makeup Revolution palettes for a penny more and get 24 shades or even one of the 36 shadow palettes. However I picked these up for £2 each which is reasonable and I think they are very travel friendly - I'll definitely be bringing these on holiday and creating some gorgeous smokey eyed looks. Got to put the sparkle into A British Sparkle, and we all know how much I love a glitter polish. This was only 75p down from £2.99, and I threw it in my basket without much hesitation. The clearance sticker tore the name off of the label and I'm unable to see what it's called, so if you have any idea please comment in the section down below. I think it might be Glitter It but I could be wrong. I've tried the Bourjois nail polish remover before, and I really really liked it. Not only does it smell nice but it saves on a couple of jobs like getting the cotton pads out etc. It's a little pricier than what I'd usually spend on a nail polish remover, but it's good and well worth it in my eyes. This, however, was only £1.25 down from £5. The Nivea Soft cream is a cream I've been using for years. It's very multi-functional and can be used on the face, body or hands. I personally use it as a moisturiser just before applying makeup, and I just love how it makes my skin feel and how my makeup looks once applied. I did use a different product last time for moisturising but I decided to come back to my whole time favourite. It's very affordable and lasts ages too. I recently took another trip to Lake Windermere which is the world of Beatrix Potter and where a lot of her characters came alive. We popped into a sweet shop and I saw this tin and fell in love. 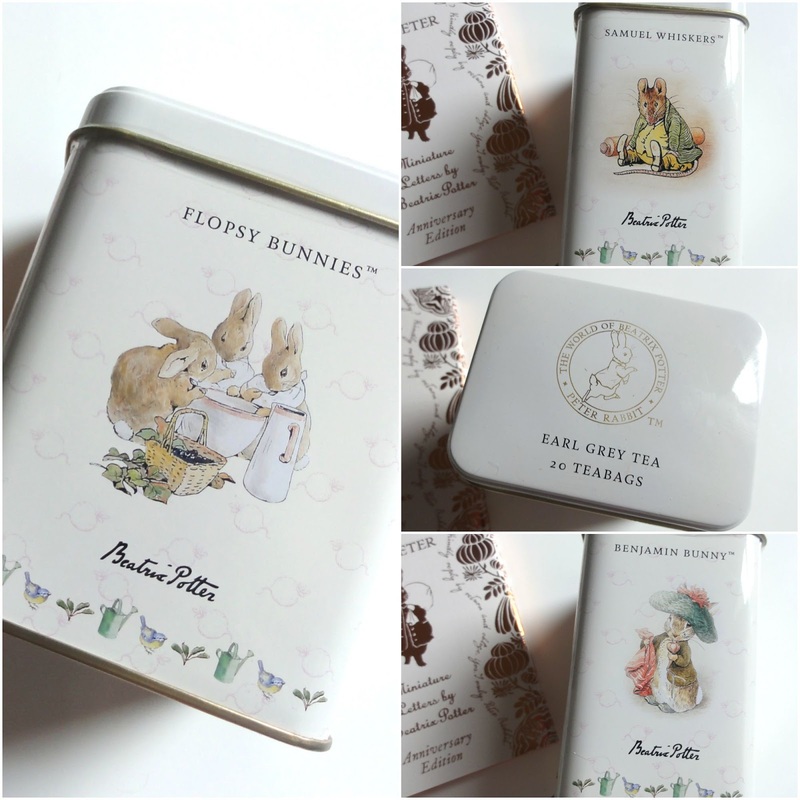 I know in reality it's just a tin holding some tea bags, but it's quite fitting it being Beatrix Potter and I really fell in love with the design and illustrations on the tin. I couldn't leave with out a little memento, and I think this was reasonably priced at £2.99. It was really hard to capture these in there full glory but they are such beautiful, copper tea light holders. Available are 3 different designs and I picked up one of each. These were only 79p each from Home Bargains. Some essentials that I thought I'd add into my haul. These are some of my favourite products that I've repurchased several times and definitely recommend. The impulse fragrance in Romantic Spark is my favourite. A sad time came recently when I had to say R.I.P to my Skull candy headphones and replace them with a new pair - I've had them for a very long time and I've definitely got my use out of them. I didn't want to spend a bomb so I went on the Argos website and did some research and found this rather stylish Sony pair for £14.99 (with 25% off). My recent trip to Manchester resulted in a splurge so keep an eye out for part 2 of my collective haul coming up within the next 2 weeks.